The Firestorm Team provides the most popular viewer in Second Life™. They provide a new user area training people new to SL. They provide and maintain a JIRA, website, and wiki. There is a cost for all of these things. About 2-years ago they ran a fundraiser and have been paying for stuff from that effort. Now those funds are running low. It is time for a new fundraiser. See the article Gacha! A Firestorm Fund Raiser! The Gacha event is happening at the Firestorm Sandbox. 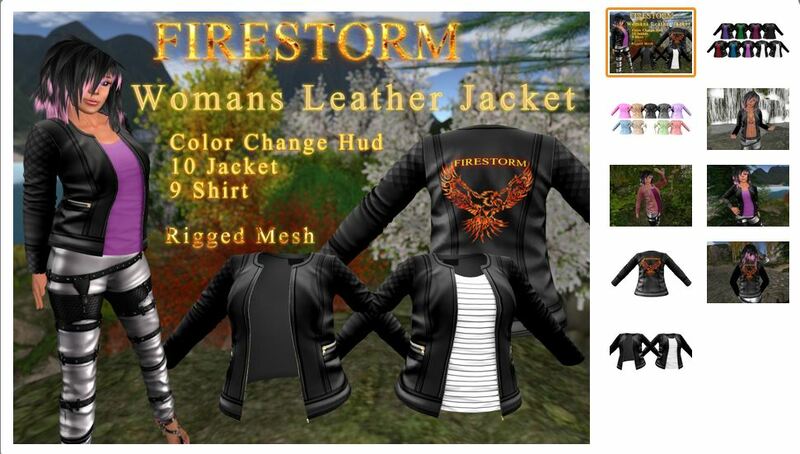 You can make a donation in the marketplace and you can pick up a Firestorm Jacket while you are there. Or… you can make donations directly to Kio Feila in-world. These funds go toward paying expenses. All labor is from volunteers. Posted in Firestorm, Second Life, Viewers. Tagged Fundraiser. Jessica Lyon has posted on the Firestorm Viewer blog a thank you to the SL community. They have been raising funds mostly to pay for the Kakadu license. Kakadu used to get lots of coverage in the SL blogosphere. Not so much anymore. Kakadu is the software Linden Lab and Firestorm developers license to handle compression and decompression of images. Posted in Firestorm, General News, Second Life, Viewers. Tagged Fundraiser.